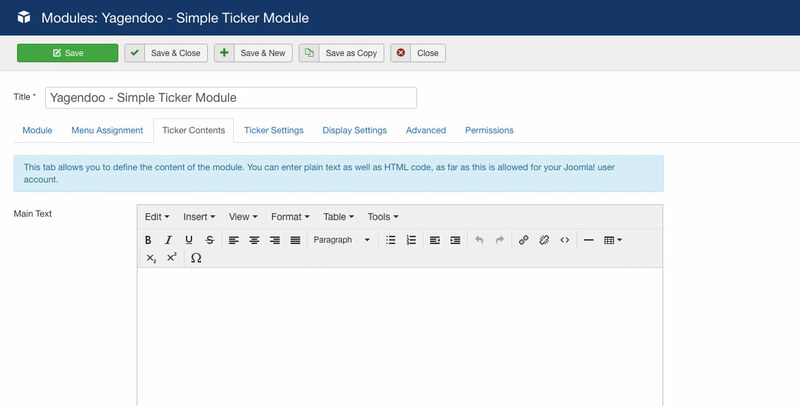 Simple Ticker - Joomla! 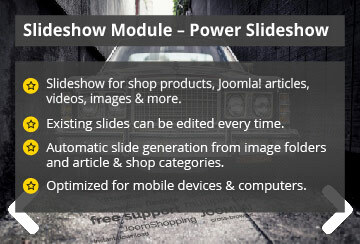 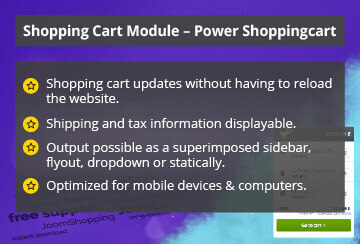 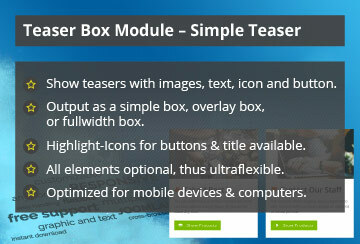 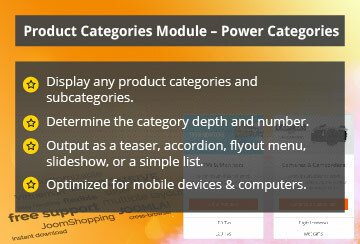 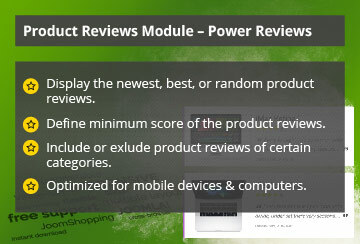 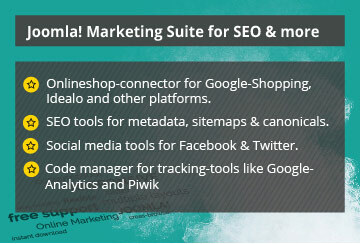 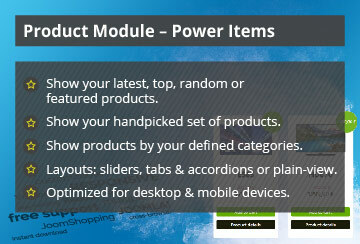 Module For Joomla! 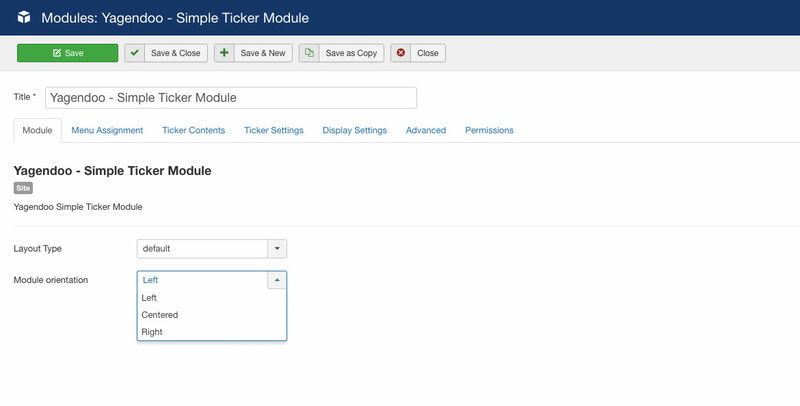 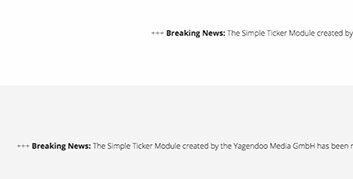 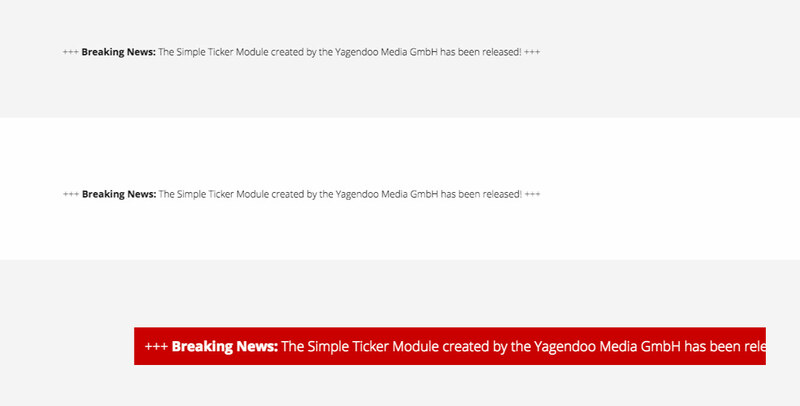 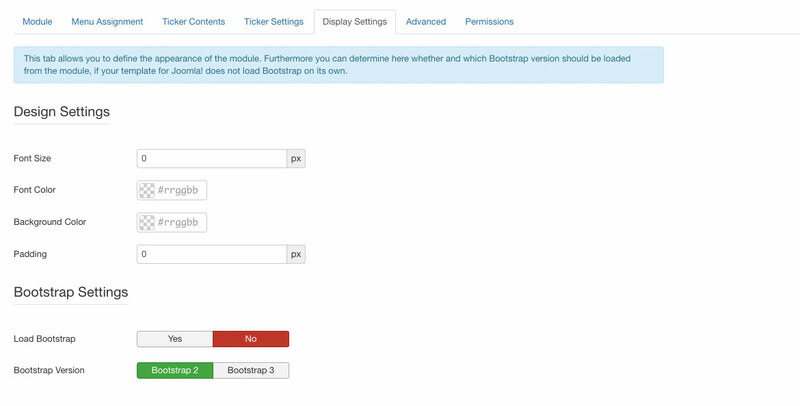 The Yagendoo "Simple Ticker" Joomla! 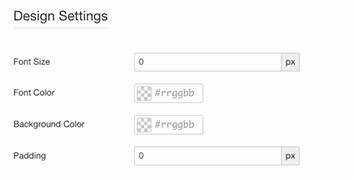 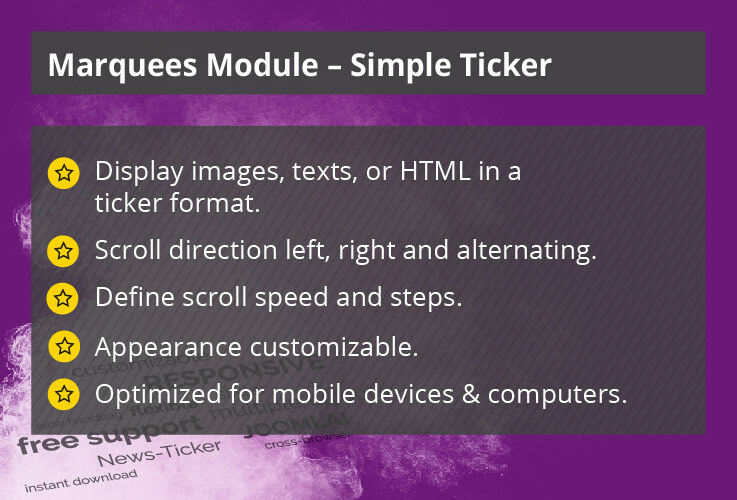 module allows you to display images, texts, or HTML as a ticker format anywhere on your website – completely without programming knowledge. 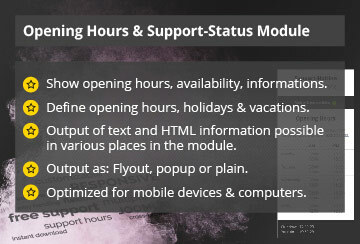 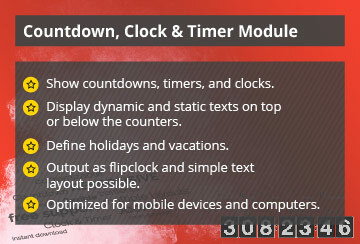 Text and HTML input Enter any texts or HTML such as appointments, notifications, or headlines. 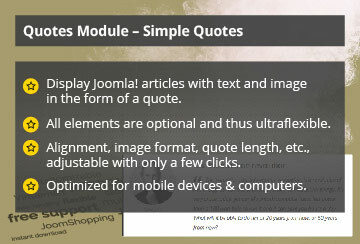 With the Joomla! 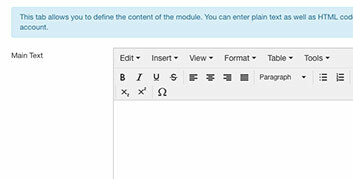 editor, you can adjust and link contents. 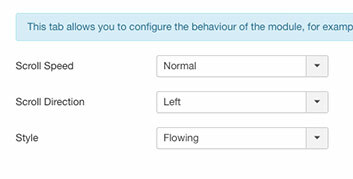 Scrolling direction Specify the direction in which the content should run. 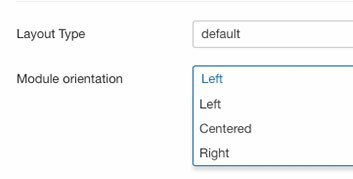 You can choose to let the content run from left to right, from right to left, or from one page to the other. 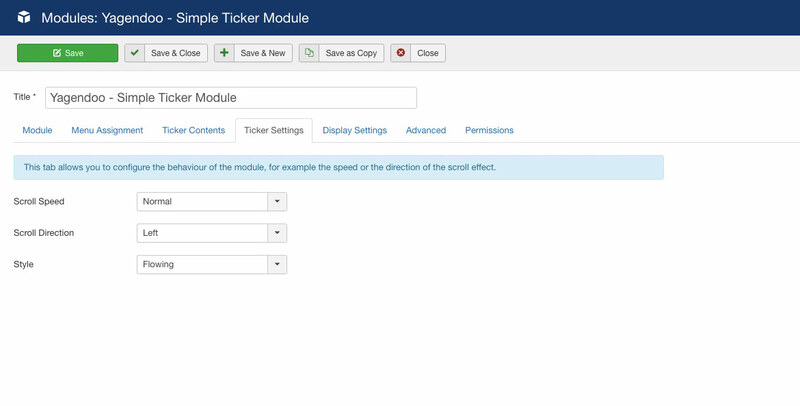 Scroll speed and time Choose from 6 different speeds, from "very slow" to "extremely fast", and if the content runs flowingly or in steps.